To attend this Fast Trac session you must first submit a training application and have been accepted to train. For entry requirements into the Israeli Krav Maga (IKM) Foundations class click here.This class will expose pre-selected new students to the Foundational Principles of IKM. You must email CFC to start the process of reserving a spot...space is limited. 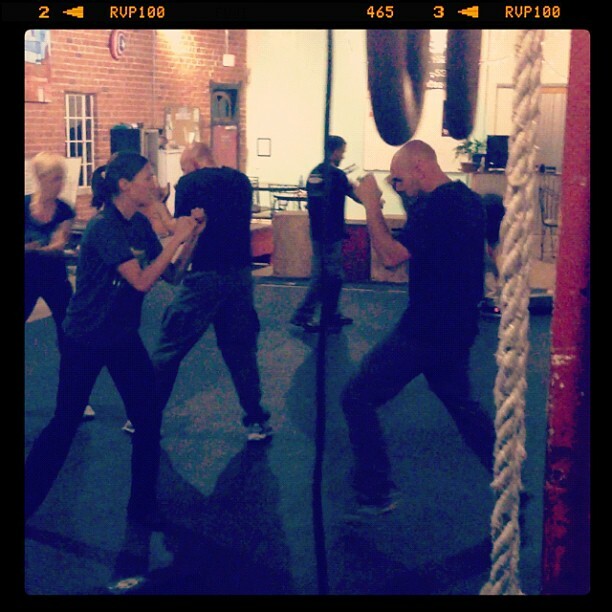 This class is a requirement prior to attending any of our Israeli Krav Maga Practitioner Level 1 (P-1 Series) classes. Important note: the completion of this class does not guarantee acceptance into our IKM training program. Passing the character evaluation dictates possible acceptance. What to wear to this class and all others: A bottle of water, expendable loose fitting comfortable clothing (an old clean dark colored T-shirt and long pants/sweat), old prescription glasses, workout shoes and a sweat towel. Remove all engagement rings, ear rings and lip piercings. Appropriate attire and hygiene is required at all times. Future attire: Selected Practioners, it is recommended that you wear a dark T-shirt, dark colored cargo/military type pants and closed toed shoes for subsequent sessions. Be aware... our training facility simulates seasonal environmental conditions. During the summer time we may train in hot conditions and during the winter we may be exposed to cold conditions. Being a reality based program, 90 % of our training time must conform with environmental probabilities...so be prepared!